This product is only available to Click & Collect to either our Victoria, Bishops Square, Waterloo Bridge or Newcastle store and is not available for home delivery. 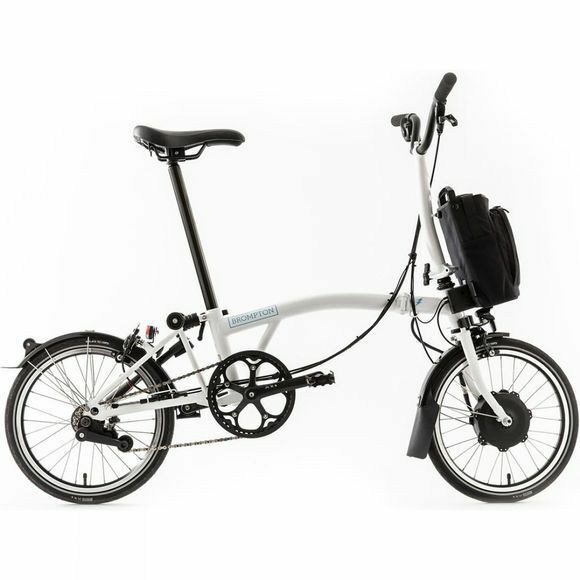 The Brompton M6L Electric is designed by world class engineers to change cities. With smart features, a sleek design and easy to use electronics, this is a folding bike you can take anywhere with you. The bike has 4 modes, ranging from no assistance through to a high level of assistance, perfect if you want to arrive fresh to a meeting or are climbing a large hill. No matter the mode; the bike rides smoothly thanks to the smart, integrated torque and cadence sensor. The custom-developed 250W front hub motor and lightweight 36V battery gives an extremely high performance-to-weight output. To aid portability and usability, the battery can be carried separately, integrating neatly into a shoulder bag and has an intuitive user interface and USB charging port for mobile devices. This bike comes with the City Bag which fits your battery, your charger, most 15” laptops as well as your other essentials in one place. 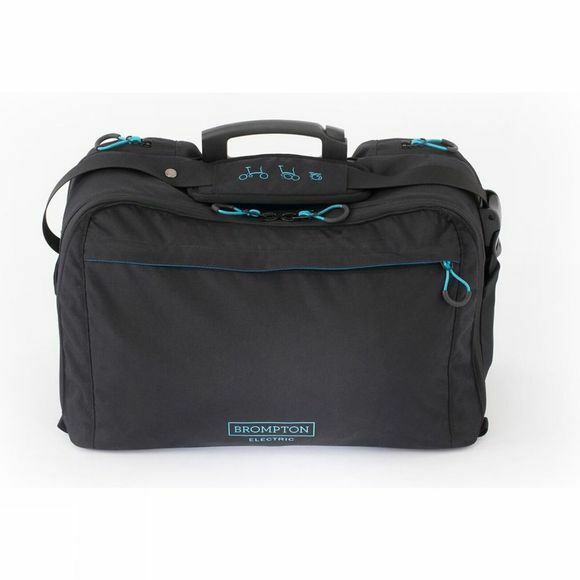 With a capacity of 20 liters you can also pack other necessities like your lunch for work or clothes for weekends away. The M-type handlebars on this Brompton give a classic handlebar shape for a good all-round position, and combine with a 6-speed gear, which is the ultimate all-rounder for those who wish to take longer rides and challenging inclines. Just like the non-electric Brompton, you can fold it quickly and easily into a compact package. Fold up and jump on the train, bus or car. Unfold and make your next meeting. Feel unstoppable in the city with the Brompton Electric bike. Fly up hills. Feel like every ride has a tailwind. See more. Do more. Arrive fresh, and on time, every time.